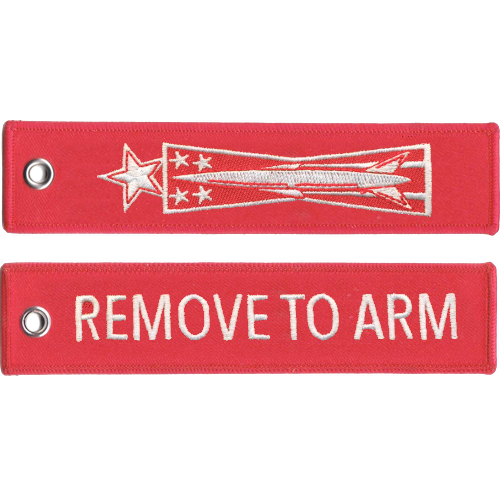 This 7 Level Missile Maintenance Badge Remove To Arm Tag is made from a very durable polyester material, with high quality embroidering. They can be also be used as zipper pulls, or a luggage and baggage tag. This 5 Level Missile Maintenance Badge Remove To Arm Tag is made from a very durable polyester mater.. This 9 Level Missile Maintenance Badge Remove To Arm Tag is made from a very durable polyester mater..